What is the “BRIDGING THE GAP/TEMPORARY CONTACT” program? Bridging the Gap between an individual in a treatment facility and the local AA community is the BRIDGING THE GAP/TEMPORARY CONTACT program which is designed to help the alcoholic in an alcoholism treatment program to make that transition. As you know one of the more slippery places in the journey to sobriety is between the door of the treatment facility and the nearest AA meeting or group. Some of us can tell you that, even though we heard of AA within the facility we were too fearful to go. How can I participate in the “BRIDGING THE GAP/TEMPORARY CONTACT” program? A.A. has a program in this area that is called The BRIDGING THE GAP/TEMPORARY CONTACT program. If you’re interested, upon your discharge, you can be matched to an A.A. Member in your home community. 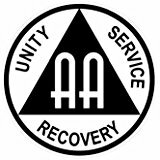 This temporary AA contact volunteer will take you to up to six AA meetings, introduce you and help you get acquainted and comfortable in AA. During this time, you will learn more about sponsors, groups, working AA’s 12 steps and service. Your bridging the gap contact is temporary only. They are there to support you, answer questions and explain the AA program of recovery. They will not provide housing, food, clothing, jobs, money or other such services. You may hear basic suggestions for sobriety that the Fellowship shares including don’t drink; go to meetings; read the big book; call your sponsor and take the steps. Experience has shown that attending an AA meeting as soon as possible after discharge is vital to making a sober transition to life on the outside. Many of us have been where you are now and know that the program of AA and its Fellowship can do for you what it has done for us and countless others. Individuals who are soon to be discharged may need to accelerate their request through the local bridging the gap service committee. To make this possible please complete and send the confidential contact request form at the bottom of this page. Some professionals refer to our alcoholism and drug addiction as substance abuse. Non-alcoholics are therefore; sometimes introduced to AA and encouraged to attend AA meetings. Anyone may attend an open AA meeting but only those with a desire to stop drinking may attend closed meetings. To request a confidential AA temporary contact, please complete the information below and click SEND. Your request will be forwarded to the Southern Illinois District 18 Chairperson of the Bridging the Gap service committee. After making contact no records are kept. I am within three months of completing treatment. I would like to have an A.A. Temporary Contact who will provide a link for me to the A.A. community through meetings and introduction to other A.A.s.